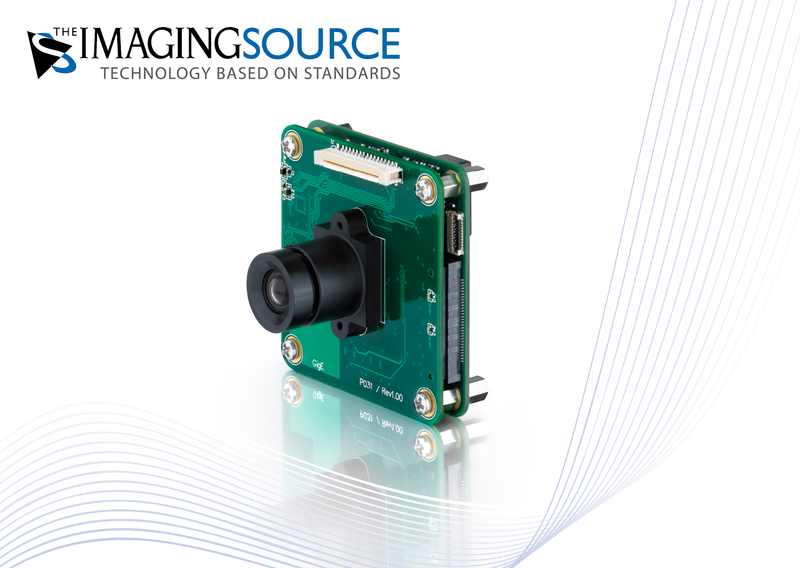 ⋯ (February 13, 2014) - The Imaging Source, an international manufacturer of industrial cameras for machine vision, has just announced a new series of 5 megapixel board cameras with Power over Ethernet (PoE). The 5 megapixel GigE board cameras are characterized by their compact PCB design (45 x 45 x 20 mm), Power over Ethernet (PoE) and highly affordable price. Binning, windowing and high-speed readout are but a few of the performance enhancements, which when coupled with DigitalClarity technology, dramatically reduce image noise levels. The color, monochrome and Bayer models ship with a resolution from VGA to 5 megapixel, a frame rate of up to 132 fps and integrate an M12 and C/CS mounts. As a result, the 5 megapixel board cameras are ideally suited to a variety of machine vision applications in the fields of automation, traffic surveillance, quality assurance, medicine and CCTV.